VIRGINIA BEACH is somewhat of a misleading name. Yes, there are miles and miles of sandy beaches and shoreline here, but what’s beyond the waves is just as integral to the city’s identity. When you’re here, you’re not just going to get on the water. Sure, you’ll probably kayak, swim, and parasail — but you can also hike, fly a plane, and eat some of the best seafood the country has to offer. That is, if you want to. Here are six itineraries, each catered to a totally different type of explorer. Choose your own adventure — whether you’re more into adrenaline, painting mermaids, fishing, eating your weight in seafood, or flying in a restored WWII plane. Or all of the above. Morning: With miles and miles of access to the Atlantic, there’s a laundry list of options when it comes to getting on the water. Hop on a jet ski, a wakeboard, cross parasailing off your to-do list, the works. But there’s one adventure you may not have considered: fishing. Virginia Beach is said to have some of the best fishing on the East Coast, and even if it’s not in your normal travel arsenal, well, that makes it all the more memorable. With fishing trips open to all experience levels and running year-round out of Rudee Inlet, there’s no excuse not to break out of your comfort zone. The guides will supply everything you need to reel in your big catch (and Waterman’s Surfside Grille will even cook it for you). You holding a 14-pound bluefish? Your Instagram will thank us later. Added bonus: You might just spot a pod of dolphins splashing by the side of the boat. Afternoon: The Sandbridge area’s Military Aviation Museum houses one of the world’s biggest private assemblies of WWI- and WWII-era military aircraft. If you’re not already a plane buff, this might not sound super thrillish…but get this: Most of the planes have been fixed up to their prior, top-notch military condition, so that they’re actually flyable and you can jump in one for a ride. You can literally take to the clouds in an authentic WWII airplane. If the idea of crossing that off your list isn’t enough, think of the spectacular views of Virginia Beach. Did we mention they’re open cockpit? Evening: You’ve been in the water, you’ve been in the air — now it’s time to swing in the trees. 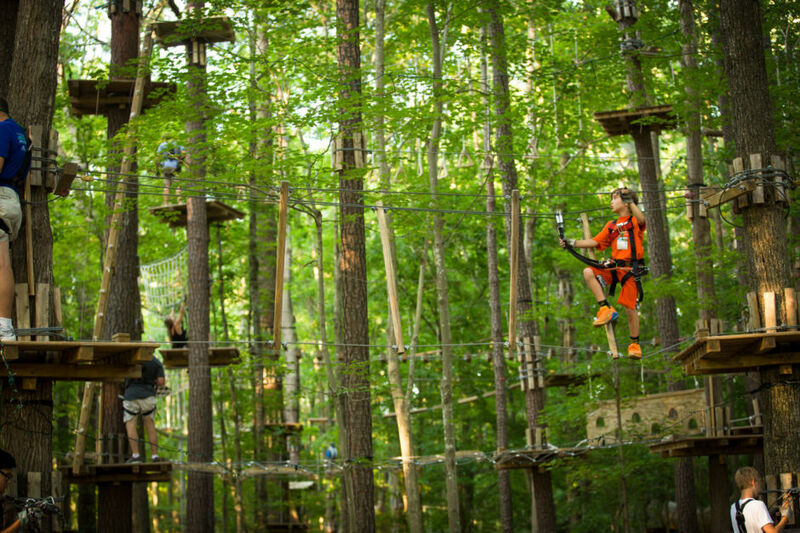 The Adventure Park at Virginia Aquarium has a “Twilight Climb,” and it’s just what it sounds like: You climb and zipline through the trees on one of their 15 aerial courses, at the pace of your own Tarzan, as the trees light up before dark sets in. There’s also “Glow in the Park” events where the entire six acres gets lit up like a rainbow, with the beats of DJs and live music raging below. Morning: The most-visited state park in Virginia, First Landing State Park, is right on Shore Drive by the Chesapeake Bay in Virginia Beach. It’s got loads of cabins, boat launch sites, picnic tables, and over 19 miles of seaside and woodland trails. If you’re wondering, the name means exactly what it says — the first colonists landed near here in 1607. In Virginia Beach, you’ll also find Back Bay National Wildlife Refuge and False Cape State Park. 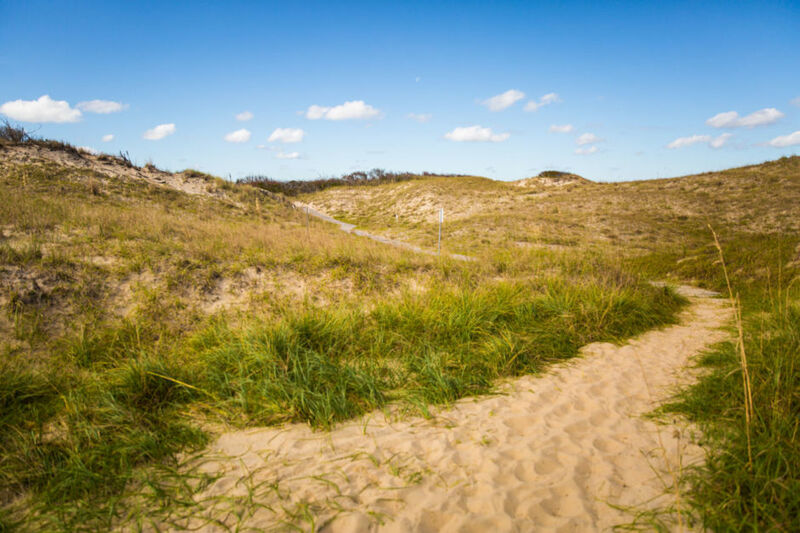 Both have miles of pristine beaches, barrier islands, dunes, freshwater marshes, maritime forests, and ponds. On False Cape, hop on a bike tour with Surf & Adventure Co. — there’s no better way to get acquainted with the more remote areas of these sands. Either one of these spots makes for a solid morning, if not longer. And while you could go later in the day, there’s nothing quite like an Atlantic sunrise on an empty beach. Afternoon: Try out your first “barre” class, with a twist. Barre is like yoga but has its roots in ballet — think of a ballerina’s elongated, lean muscles, and that’s the goal. But SUP Barre adds another level. Yeah, who needs solid ground for balancing? Evening: Now it’s time to trade that paddle board for a kayak. You’re going to paddle your way through the evening on a sunset kayak tour in Back Bay National Wildlife Refuge, where you’ll share turf with eagles, bobcats, foxes, and turtles. You’ll float down the inland waterways at your own pace, and then dock at Blue Pete’s restaurant — a local favorite known for its fresh seafood and always-hoppin’ patio. Great for couples, sure, but you don’t have to be paired up to appreciate a good sunset and a mean oyster po’ boy. 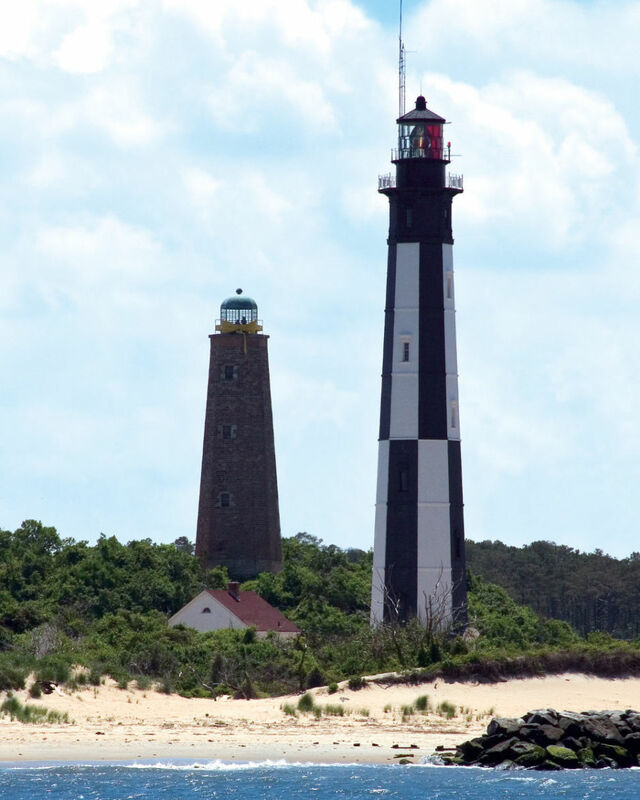 Morning: Burn some calories climbing your way to the top of the historic Cape Henry Lighthouse, the first federally funded lighthouse in the US. While working up a sweat on the spiral staircase, you’ll also get some firsthand exposure to local history. From the top, there’s an unsurpassed view of the city and oceanfront. Definitely bring your camera. Afternoon: Virginia Beach’s history isn’t just what’s on the water — it has a handful of historic homes, plenty of stories to tell, and hundreds and hundreds of years of heritage. The colonists landed here first, remember? Evening: The Virginia Beach Surf and Rescue Museum, housed within the Old Coast Guard station on the Boardwalk at 24th Street, is home to after-hours ghost tours. With those hundreds of years of history, said tours are pretty chilling. The hour-long experience includes a costumed storyteller delivering both real accounts of and local folklore about shipwrecks, ghosts, pirates, and witches. Warning: That sensation on the back of your neck might be exactly what you think it is. Morning: Start your day with a stroll down the world’s longest stretch of pleasure beach — no one has ever accused Virginia Beach of having a shortage of prime spots for morning walks. The Resort Beach is the most popular (it’s the one with all the restaurants and boutiques), while the Sandbridge and Chesapeake Bay Beaches are great for some quieter R&R. Whichever you choose, bring your camera, as you might be able to snap a pic of dolphins swimming in the waves. Surf bros and chicas, bring your board and paddle out for an early morning session. Virginia Beach is your oyster. Afternoon: Make a beeline to Rudee Inlet Parasail & Watersports to get started. Yep, this is happening. Strap into a parachute and, before you know it, your legs will be swinging freely beneath you. As you soar upward, your eyes will inevitably drop (just like your jaw) to this drone-esque view of the Virginia Beach oceanfront. Evening: You’ll probably need to relax after this day, which means it’s time to return to Rudee Inlet for a dock-side dinner. Rockafeller’s is the ideal place to grab some fresh seafood — oysters Rockefeller, Alaskan snow crab legs, and Carolina steamed shrimp can all be found here, and they’re way better than what you’re probably used to back home, wherever home may be. Grab a window seat for a mesmerizing view of the inlet — just in case you haven’t had enough of those yet. You might even see some of the charter boat fishermen return with their day’s catch. 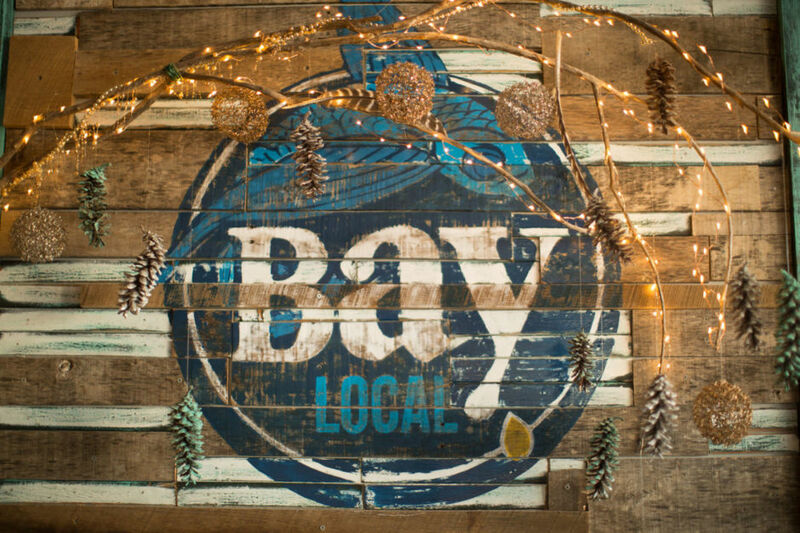 Afternoon: Your nose will eventually lead you into the more urban side of Virginia Beach, resulting in an afternoon absorbing city flavors at Virginia Beach Town Center. Begin with one of the artisan soups or create-your-own salads at Simply Fresh, and take a moment to appreciate the cozy café-style restaurant. Afterwards, walk a few doors down to The Royal Chocolate and let your sweet tooth run wild with chocolate everything — we’re talking fondue, truffles, apples, anything you can put chocolate on. Evening: After the sun goes down, head to Sonoma Wine Bar and Bistro, and try any of their dishes — they’re especially known for their cheese and charcuterie plates that make a great pairing with their wines. Don’t come too hungry, though, because the meals are so beautifully displayed you’ll probably be playing photographer prior to digging in. Pro tip: Their appetizers are where their innovation shines, with dishes like sous-vide beef shoulder, pickled shrimp, and roasted beef caprese. So maybe, yes…definitely come hungry. And when you’re done, you’re in prime position for the incredible nightlife and live entertainment options that Town Center is famous for. Morning: The only way to see where Virginia Beach is heading is to spend this morning in the newly established ViBe Creative District. First, stop by Java Surf Café — there’s a full-on espresso menu and a mean breakfast and lunch spread, too. Everything from the elusive flat white (made with organic, ethically sourced beans) to their egg wraps and scrambles screams lazy Sunday morning. The bonus? Getting to see one-of-a-kind art murals by local OnieTonie on the building itself. While you’re there, take a look in “The Alley,” just across the street,​ which houses some of the area’s most beloved craftspeople — from coffee roasters to a pinstriping artist​. 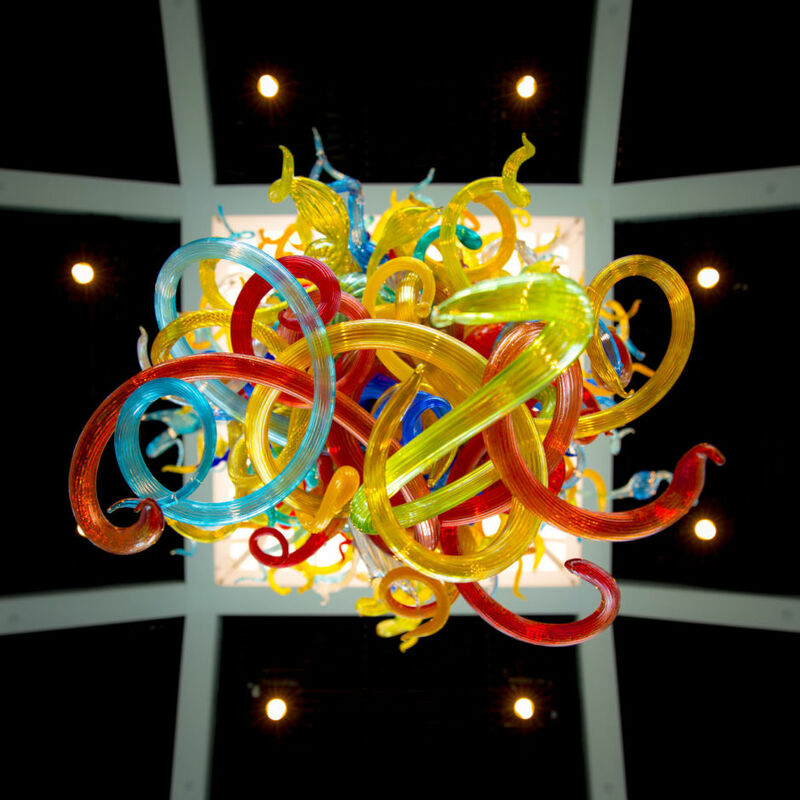 ​And since scoping out VB’s art is the most obvious transition, pop on over to the Virginia Museum of Contemporary Art and take a look at some of their ever-changing art exhibits that are known for pushing boundaries. One of the most talked about for summer 2017 is Muse: Mickalene Thomas Photographs and Tête-à-Tête. Afternoon: Make your way to the Virginia Beach location of the Mermaid Factory (just a block from the ocean — fitting!). It’s time to let your inner Picasso out into the wild — you’ve done the whole wine and canvas thing, the whole make-your-own-candle thing, but have you ever painted your own Virginia Beach mermaid? Now you have. Evening: Beach Street USA entertainment is what you’ll want to experience on the Virginia Beach oceanfront after hours. There’s tons of entertainment in nearly every form — think live bands, jugglers and circus performers, and kid-friendly street magicians. It’s part festival, part county fair, part block party. On top of all that, there are nightly (free!) live concerts during the summer and theatrical productions put on by Beach Street USA that you definitely won’t want to miss. 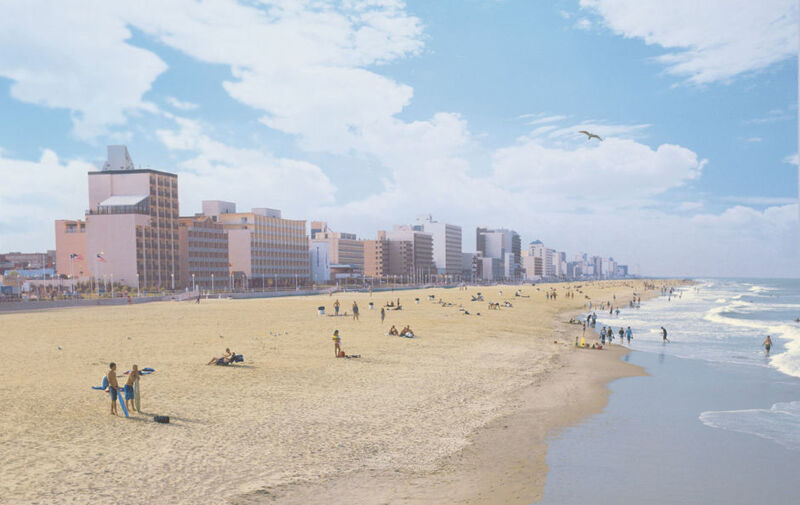 It’s called “Virginia Beach,” but this coastal city is clearly not all about the water.